Noodle bowl with handle. Locking lid with silicone gasket. Vent on lid to release heat; holds four cups. 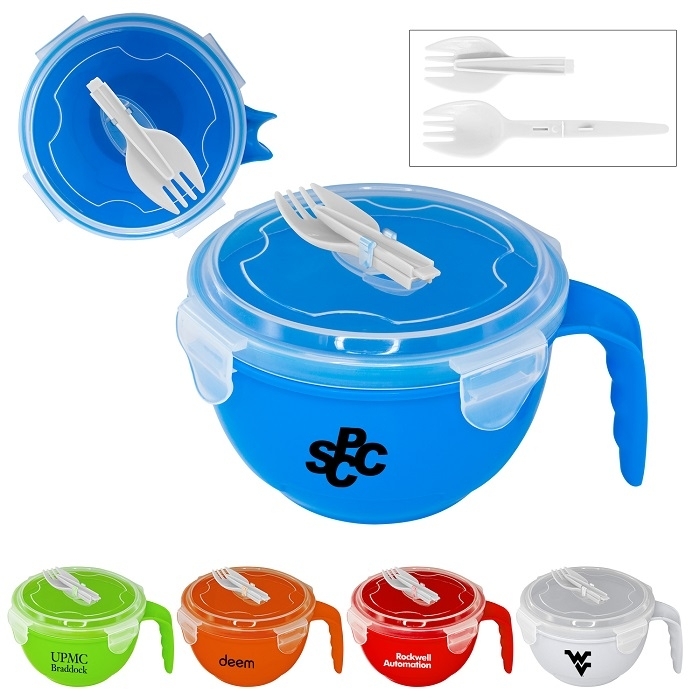 Folding spoon/fork combo attaches to lid. Freezer and microwave safe; BPA free.